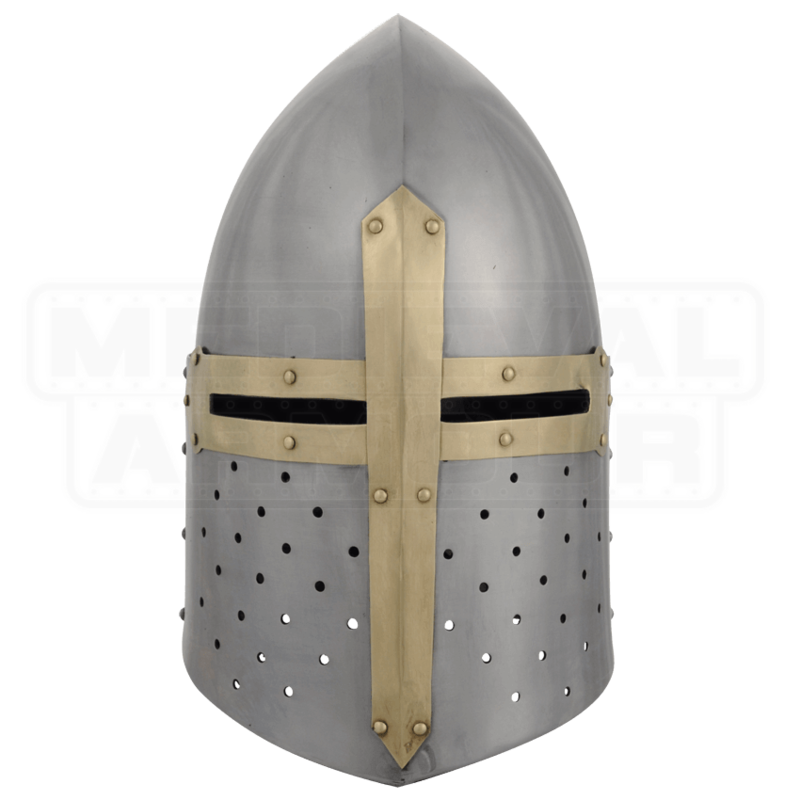 Taking its name from the conical loaves in which sugar was formerly sold, this Great Helm was popular during the Crusades. Providing full head protection, its conical top deflected blows much more efficiently than its flat-topped predecessors. 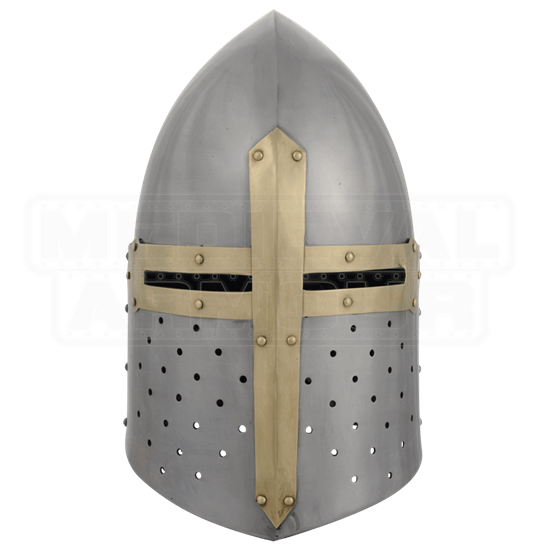 Our Sugar Loaf Helmet is crafted in 16 gauge steel, lined and ready for use.